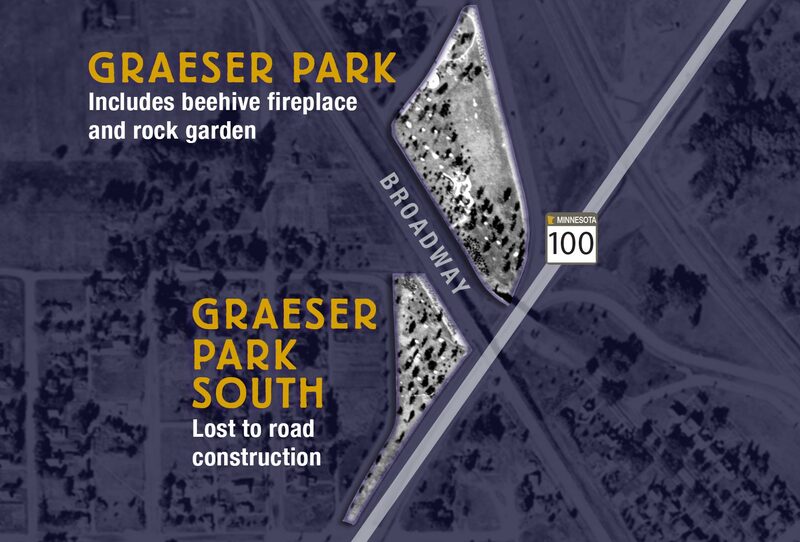 Graeser Park South had a beehive fireplace with a ‘cap’ and leg extensions, limestone picnic tables, a council ring, and water pump. It was bounded by the Burlington Northern Railroad, Highway 100, and Scott Avenue. This is the only photo we’ve ever seen of Graeser Park South. 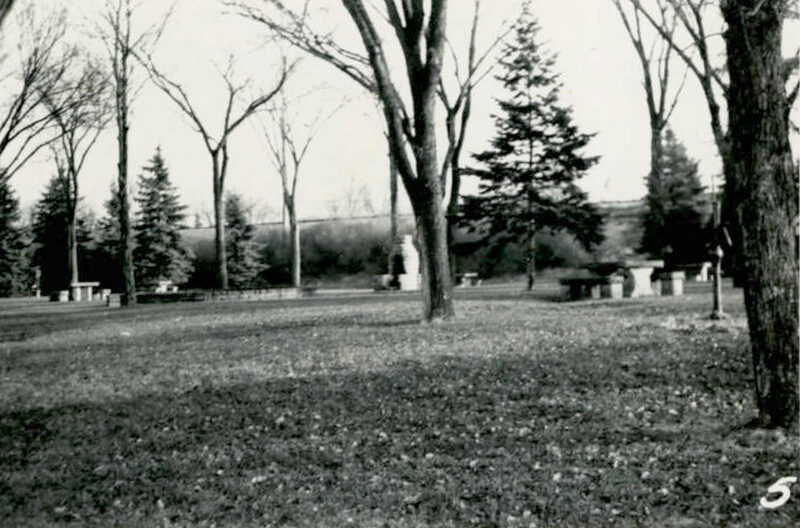 Kristi Gibson, Robbinsdale Historical Society board member, found this rare photo in a 1964 MnDOT inventory of wayside parks. This photo is from a 1964 Graeser Park South MN Department of Highways Wayside Rest Area Inventory. 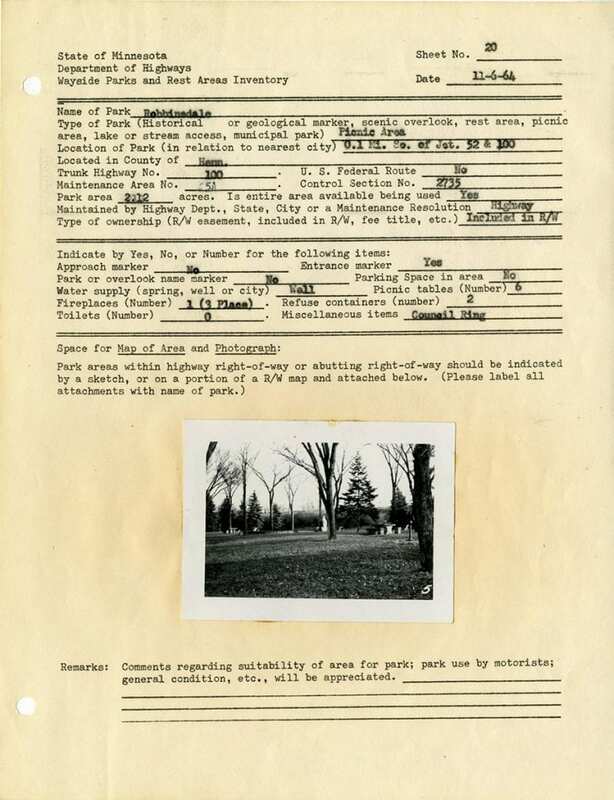 Digitized by Minnesota Reflections, the inventory documents 25 wayside areas, nine of which are on the 12.5 mile stretch of Highway 100 known as Lilac Way. see a PDF file showing only the Lilac Way pages. We are looking for info about Graeser Park SOUTH. Can you help? 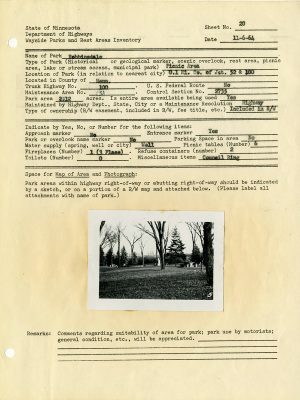 What did the WPA build in Graeser Park South in 1939? Graeser Park South was separated from the main Graeser Park by Broadway Avenue.